10th edition of The Jaipur Literature Festival will take place from 19th – 23rd January 2017, once again at its beautiful home of the historic Diggi Palace Hotel in Jaipur. Frequently described as “the greatest literary show on Earth”, JLF will welcome over 250 authors, thinkers, politicians, journalists and popular culture icons, and expects audience numbers to surpass last year’s figure of 330,000. Over the past decade, the Festival has evolved into one of the largest and most accessible cultural events on the planet. A true champion for culture, ideas and democracy, it strives to spur freedom of thought and expression through a dizzying range of diverse voices engaged in intellectual discourse across India and internationally. While as part of its ongoing celebration of the word, the Festival continues to serve and inspire those who cherish literature. As seen in previous years, the 2017 edition of the Jaipur Literature Festival will partner with major Indian and global brands to continue with its high caliber of speakers and programming and enrich the audience experience. Ten years of books and ideas, readers and writers! A decade of showcasing writing from the Indian languages and connectivity across South Asia. In 2017, a special focus on translations and the pulse of world literature. Ceaselessly celebrating the wonders of the dreaming mind, the Jaipur Literature Festival invokes the collective energy of our brilliant authors and extraordinary and engaged audiences. 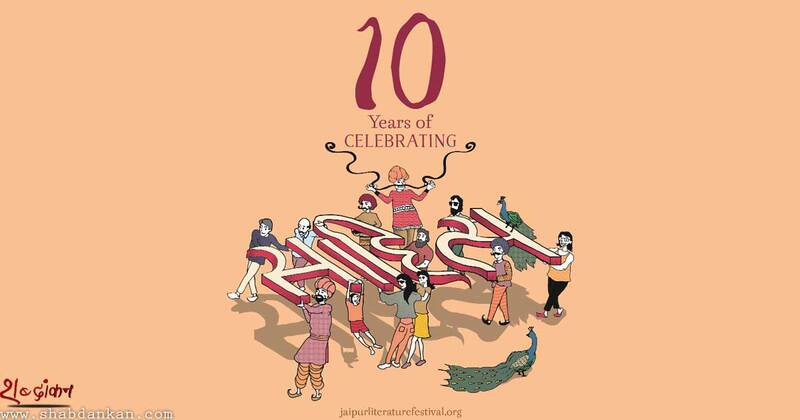 As part of the Festival’s ten-year anniversary celebrations, the Delegate package has been given a real boost as a thank you to those who have supported JLF over the years. In addition to existing facilities such as a dedicated Delegate Lounge, registration area, lunch at the Delegate and Speaker Lunch Area, access to the concerts and dinners at the Music Stage venue of Hotel Clarks Amer, the 2017 Festival Delegate package will include entry to two Festival Fringe events at a heritage monument, a ‘Delegates Only’ session and cocktail evening along with transport shuttle services between the Festival Hub of Diggi Palace and the Festival Fringe event and Music Stage venues. In terms of programming, every year the Festival makes a concerted effort to ensure that the multitude of Indian languages are showcased while its industry arm, Jaipur BookMark, focuses on the art of translation. This is set to continue in 2017 with over 25 languages represented in works spanning the country’s literary landscape as well as international translations in a bid to preserve and promote the diverse range of life, culture and stories. The fourth edition of JBM opens the Festival’s proceedings with a full day of programming on 18th January at Diggi Palace followed by special sessions at a dedicated venue at the Festival Hub from the 19th – 23rd January. JBM continues to provide a platform for publishers, literary agents, translation agencies and writers to meet, talk business deals and listen to major industry players from across the world. Each year at Jaipur we try to produce a program more remarkable than the year before, but 2017’s Jaipur list is certainly the most astonishing we have ever fielded. We have gathered talent from across the globe — from Jamaica to North Korea and Tasmania to Zimbabwe — to present writers of genius as diverse as the war correspondent Dexter Filkins , the economist Ha Joon Chang and the Italian aesthete, Sanskritist and polymath Roberto Calasso. We import some of the world's most admired playwrights and novelists, including Mark Haddon, David Hare and Man Booker Prize winners Alan Hollinghurst and Richard Flanagan as well as arguably the world's greatest living archaeologist, Barry Cunliffe. We deeply delve into areas of world literature we have so far failed to explore, notably the novelists and poets of the Caribbean, Turkey and Iran, while returning to examine eternal classics such as the work of Homer, Ferdowsi, Yeats, Nabakov and the Thousand and One Nights. We will explore a vast range of subjects from the history of scent to the rise of the Trilobites; biography from Jack the Ripper to Queen Victoria via Napoleon and Anne Boleyn; tales of the spice trade to the eruption of Krakatoa; we look at Jamaican rap and mediaeval mystic poetry and the art of screenwriting; we probe the reason for the Fall of Rome, the dilemmas facing Edward Snowden, KGB assassination techniques and the secrets of the Panama Papers; the agonies of Syria and the pleasures of Ottoman Istanbul as well as enjoying the decadent swagger of the Rolling Stones 1970 World Tour. It's going to be an incredible few days and I can't wait for January so that we can get started! For the first time, Jaipur BookMark 2017 will also invite budding authors to share a synopsis of their work, which will be assessed by a panel of literary agents, publishers and critics. Those shortlisted will be invited to take part in the New Writers' Mentorship Program, a special one-on-one session for advice from industry experts. As a pioneering champion of literary debate and social dialogue, both Indian and international, a strong focus of JLF 2017 will be to celebrate one of the world’s largest democracies through the theme ‘The Freedom to Dream: India at 70’ and drive conversations around modern India in the context of its history and its future. Shabdankan will keep you readers updated with whats happening at JLF... oops this year it's 10YearsOfJLF. 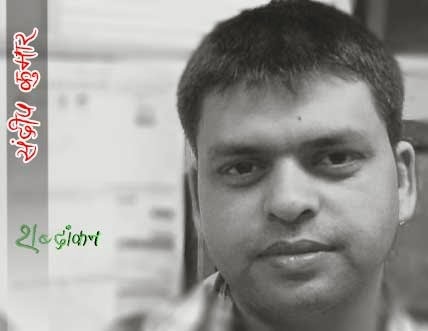 Hope you are following us on Twitter (https://twitter.com/BharatTiwari) and on Facebook (www.facebook.com/shabdankann) .